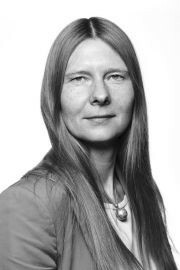 Ulinka Rublack is Professor at the University of Cambridge and has published widely on early modern European history as well as approaches to history. She has edited, most recently, the Oxford Concise Companion to History (2011), and her Oxford Handbook of the Protestant Reformations is forthcoming. Her monographs include Reformation Europe (2005), The Crimes of Women in Early Modern Germany (1999), and Dressing Up: Cultural Identity in Renaissance Europe (2010), which won the Roland H. Bainton Prize. In 2015 OUP published The Astronomer and the Witch: Johannes Kepler’s Fight for his Mother, hailed by John Banville in the Literary Review as ‘meticulously researched and wonderfully readable’. Penguin Classics published her edition of Hans Holbein’s The Dance of Death in 2016.